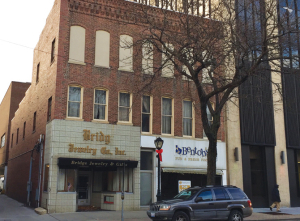 A new restaurant tenant, soon to be announced, and two floors of residential space are on the drawing board for this development on South Fifth Street, courtesy of the federal Historic Preservation Tax Credit program. 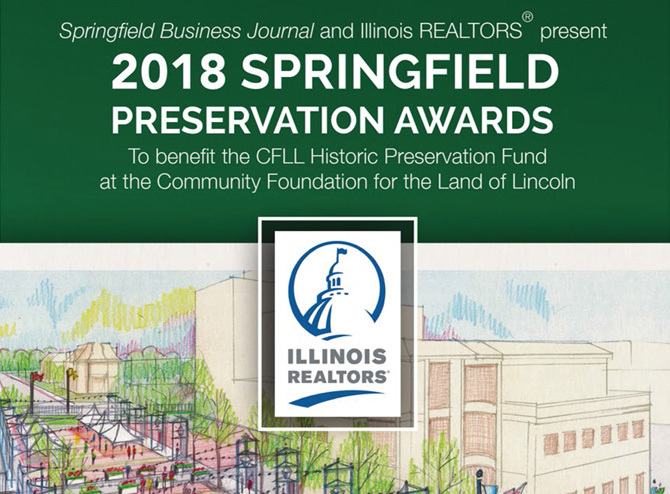 This is the final segment of Springfield Business Journal’s critical look at historic preservation as a community revitalization tool, and it reveals a positive direction for the future. Mike Jackson, a fellow of the American Institute of Architects, has spent a good deal of his career helping people to understand the benefits of preserving tomorrow’s historic landmarks, including the 1960s era subdivisions of ranch homes, steel towers of the ’70s and concrete boxes of the ’80s, which will soon join the honor roll list of America’s National Register of Historic Places. 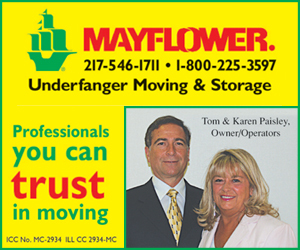 Amid news of Illinois’ poor financial outlook, including the glaring lack of a state budget and dwindling bond ratings, there is a distinctive ray of hope twinkling on the horizon. For those seeking to renovate older buildings, the Historic Preservation Tax Credit (HPTC) has been a highly successful economic engine for preserving buildings and revitalizing business in Illinois. The HTPC incentive yielded $807.4 million in private spending on historic rehabilitation projects and created 11,903 jobs in Illinois in fiscal year 2014, according to a study by the National Park Service and Rutgers University. A coordinated program involving the National Park Service and the federal Internal Revenue Service, the HPTC is a 20 percent tax credit available to owners of buildings designated as historic and a 10 percent tax credit for non-designated historic properties, based on renovation costs for non-residential use. 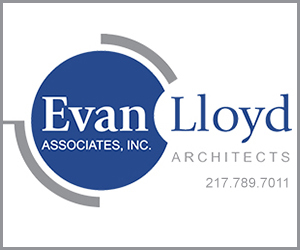 The Illinois Historic Preservation Agency, (IHPA) which administers the program, has seen overwhelming success from its effort to help both developers and property owners qualify for federal tax credits to rehabilitate historic buildings throughout the state. In fiscal year 2014, the total private expenditures on historic rehabilitation projects that qualified for federal tax credits was higher than in any other state. Pennsylvania was a distant second at $478.5 million in spending and 7,777 jobs, according to National Park Service data. State government coffers also saw $190 million in state, local and federal tax receipts from the rehab projects. The IHPA estimates more than $628 million more in rehab expenses will be spent by private firms on projects that are still underway. To qualify for the Federal Historic Tax Credit program, building renovation projects must meet the National Park Service standards for rehabilitation. Those standards guide builders to keep the most important historic characteristics of the building while adapting spaces for modern use. Rehabilitation expenditures that qualify for federal tax credits include architectural and structural renovation, life-safety improvements and energy-saving upgrades, such as window repairs. Statewide preservation advocacy group Landmarks Illinois has reported a rebound in the gloomy real estate market on the horizon, thanks to low interest rates, federal historic tax credits and more awareness of the significance of historic building renovation, which makes good business sense and has a ripple effect on the economy. The federal tax credit does not cost the state of Illinois anything, but it produces significant state and local benefits. Developers generally buy materials close to the project site and hire local workers to rehabilitate historic buildings, often requiring more workers at higher wages than new construction does. Illinois projects that went forward last year using the federal tax credit included the new Virgin Hotel and an overhaul of the Wrigley Building in Chicago, renovations of Peoria’s Hotel Pere Marquette, and revitalization of Rockford’s Peacock Brewery. The downtown Springfield landscape is dotted with evidence of successful preservation projects made possible with the federal tax credit, beginning in the 1980s when most of the entire block on the East side of Sixth St., from Monroe to Adams, was renovated. In the mid-1990s, the Chatterton Place development of multiple buildings on the southwest corner of the Old State Capitol square reinforced the trend to revitalize downtown. Efforts by preservation-oriented building owners continued the movement, as activist Carolyn Oxtoby worked to renovate the two historic buildings across from the new Abraham Lincoln Presidential Library and Museum. Other projects on the horizon include the Ferguson and Booth buildings in the 500 block of East Monroe, enabled as a result of the National Register of Historic Places extension of the Central Springfield Historic District, which resulted in 83 more properties now potentially eligible for the tax credit program. Christopher Nickell and his partners, Springfield developers with a track record in downtown renovation, have used preservation tax credits to transform turn-of-the-century storefronts at 409-411 East Adams, returning upper stories to residential units above first floor commercial space. 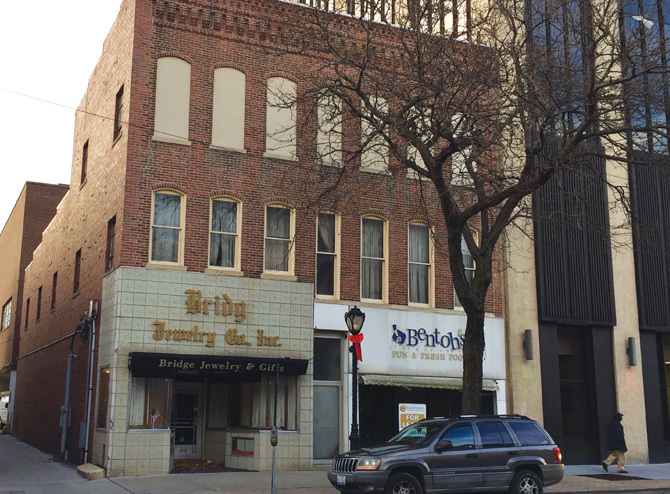 Nickell’s next project, the former Bridge Jewelry/Bentoh’s site at 213-215 South Fifth St. will include three modern residential units above a new restaurant tenant at ground floor. The 30 percent tax credit rebate on an estimated $260,000 in renovation cost is the bonus Nickell will gain from incorporating specific guidelines of the National Park Service into the design. According to Mike Jackson, the tax credit program is an advancement that has enabled the preservation movement to progress from the 1970s and 80s fascination with antique buildings to the establishment of the Main Street revitalization approach in the 1990s, on to a wave of new millennium adaptive reuse as the holistic sustainability practice for rebuilding communities. “When we look at the embodied energy coefficient of materials like brick, stone, solid wood and plaster, we now understand that the ‘greenest building’ is the one that already exists,” Jackson said. From a policy standpoint, the tax credit financial incentive nudges the free market toward wise preservation decisions that will only be enhanced by cities incorporating mixed use zoning as an organic development strategy. According to Jackson, in Chicago all newly-built parking deck structures are required to incorporate first floor retail into the design. In St. Louis, a new library structure currently designed with upper level parking has been constructed with flexibility for future library expansion if needed, allowing for interchangeable evolution within spaces. In terms of future trends that will impact community development, Jackson points to vast technology changes in the structure of the nation’s economy wrought by energy source impact on global climate change. “We owe it to the future to start planning for an energy-restricted economy with visionary innovation now,” he said. This will include thoughtful adaptive reuse planning to meet a changing demographic and future environmental sustainability requirements. When asked to predict a vision for life in cities like Springfield in the next 20 years, Jackson points to driverless cars as the development which may create the most revolutionary impact on the work of urban planners. Prepare for engineers to reshape the city, with reconfigured intersections, transforming parking lots into city green space and parking tickets to become a thing of the past. Catherine O’Connor can be reached at catherineoconnor912@gmail.com.